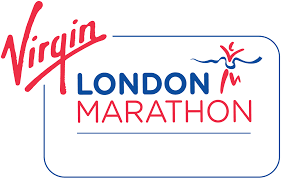 The 2016 Virgin London Marathon is only 4 months away and Cath Daley has taken up our Charity place in April to raise money for SHN. We will be following Cath’s training, here is her story so far. On 24th April 2016 I will be running the London Marathon in memory of my very dear friend Andy Bygate. Andy died of a terminal brain tumour in October 2014 at the age of 46. I met Andy through my husband Billy, back in 1992 they both loved taking the mickey out of each other with Billy often reminding Andy of his northern roots. Andy was from Warrington in Cheshire, he moved to Shipston where he became a successful businessman and lived with his lovely wife Sharon and 3 gorgeous children. I shared Andy’s passion of football, all be it not the same team, we spent many hours discussing tactics and formations. Andy also loved golf, and during his final days I sat with him as Europe regained the Ryder cup, it was heart breaking to see a man so passionate about sport was unable to raise a cheer or a fist pump as he would have done in the past. I will be raising funds for Shipston Home Nursing who provided palliative care for Andy. They helped to ease the suffering for Andy and his family during his final days. I watched each day the care and support the nurses gave to Sharon and the supporting family. Their dedication and professionalism was second to none. Sharon’s forever soul searching decisions were met with calm unobtrusive advice, no mountain was insurmountable for Shipston Home Nurses. Following Andy’s diagnosis in 2007 I ran the Edinburgh Marathon, the Great North Run and I had the joy of running the London 10k with Andy and Billy all raising funds for The Samantha Dickson Brain Tumour trust. Despite his illness, he beat us both hands down that day. However, like a true gentleman he slowed down to allow us all to cross the line hand in hand, a memory I will never forget. Throughout Andy’s illness he was a constant fundraiser for the brain tumour charity who provided advice and support from when he was diagnosed, if Andy was here today having seen the incredible support given to Sharon and his family by Shipston Home Nursing he would have used his entrepreneurial skills to raise money for their funds, in Andy’s name I will take on that role. After my one and only marathon in Edinburgh when I said “never again,” I am happy to lace up my running shoes once more and will use the strength and determination Andy showed to battle his illness to get me through each 26 miles and raise as much money as possible for the truly amazing nurses from Shipston Home Nursing.